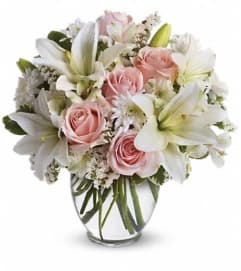 Express your love with style with roses and lilies in a gorgeous hand-blown art-glass vase etched with an exquisite "rosebud" design. 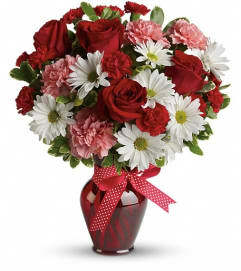 She'll love your taste - and you. 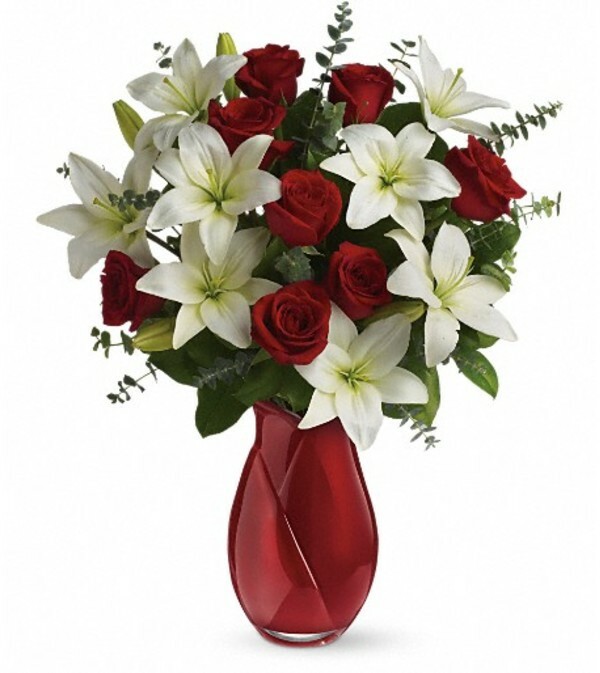 Red roses and white lilies accented with spiral eucalyptus are arranged in a hand-blown art-glass vase with a sculpted "rosebud" design.